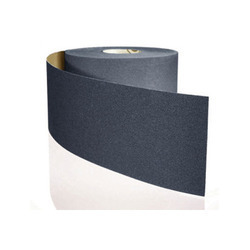 Pioneers in the industry, we offer abrasive cloth roll from India. In order to cement our reputation in the market, we are engaged in catering an excellent range of High-performance Aluminum Oxide Abrasive Cloth with the aid of advanced technology. Our offered range is availed in a variety of sizes and other such specifications to choose from. The cloth offered by us is precisely designed at our highly advanced manufacturing unit following industry defined guidelines. The offered cloth can also be availed from us at the industry leading prices.